Providing care to those in need, whether it be medical, financial or emotional, has always been a passion of mine. As an undergraduate student, I was always finding some way to give back to my community in Detroit, Michigan. As vice president of an honor society, I planned and attended at least three community service events per month, such as planting trees; serving meals to the homeless; reading books and playing games at a local orphanage; and my personal favorite, volunteering for the Adopt a Family program during the holidays. 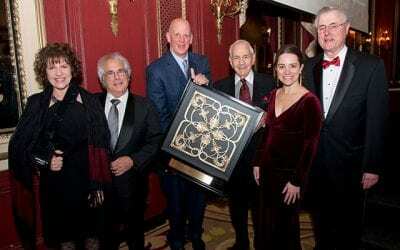 There is something about giving back and helping those in need that always gives me an overwhelming sense of reward. 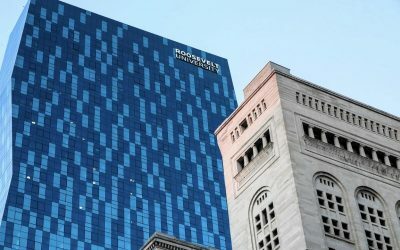 After completing my undergraduate studies and relocating to Chicago to attend Roosevelt University’s College of Pharmacy, I was eager to continue to provide service for those in need. However, I was not sure how I could do so until after completing my first term. It then dawned on me how much of an impact we as pharmacists can make on a patient. I was determined to spend my upcoming term break making a difference somehow as a student pharmacist. With a few months of research, I found an organization called Work the World, which offers student pharmacists like myself an opportunity to volunteer their time to serve an underprivileged community abroad. After reading up on the trips they offered, I knew I found the perfect opportunity to help needy people while also applying the clinical knowledge I had learned in school. 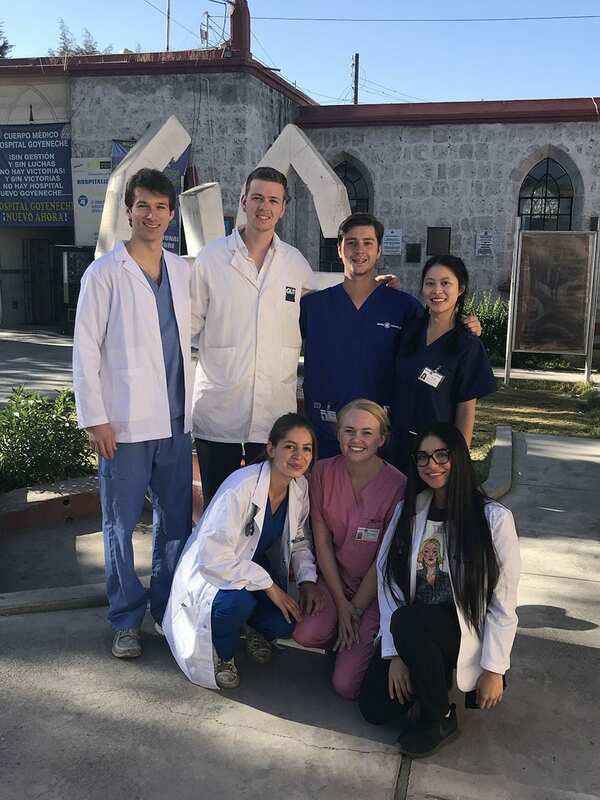 Over the summer in 2018, I chose to attend a medical relief mission in Arequipa, Peru, where I was placed at Hospital Goyeneche. The hospital is approximately 100 years old and one of the few within 1,000 kilometers from the country’s capital, Lima. Hospital Goyeneche has all different types of specialties and departments; during my mission, I rotated through each of the different departments, including Cardiology, Oncology, Pediatrics/NICU and Emergency. As I rotated through these departments, I was exposed to the disparity in practice across national borders. My first few days were spent in the oncology unit, in which I would attend rounds with the other doctors and compound chemotherapeutics. The opportunity to compound chemotherapeutics was truly one of the highlights of my trip, as I am considering specializing in oncology post-graduation. When not assisting in the sterile room, I would spend time with the patients receiving chemotherapy. Although there was a slight language barrier, we still were able to laugh and exchange funny stories to keep spirits high. Over the course of the next few weeks during my rotations, I was exposed to many different scopes of practice. I worked with patients, was taught how to read X-rays and interpret EKGs, and even got the opportunity to scrub in on a pediatric surgery. Although they were out of the scope of pharmacy practice, I was extremely thankful for learning these skills and the doctors who were kind enough to teach them to me, because I believe it gave me a well-rounded experience. One of the most memorable moments from my trip was giving a presentation on Bacterial Resistance from a pharmacist’s perspective and presenting it in Spanish to the doctors and residents at Hospital Goyeneche. Because the hospital has extremely limited means, sanitation and proper protection was a critical issue. During my presentation I discussed ways to prevent the spread of bacteria from patient to patient, and how they can impact the deterrence of bacterial resistance inside the hospital. Although the experience I got inside of the hospital was truly incredible, my favorite part of it all was building a relationship with the Peruvian doctors and medical students. They allowed me to participate in discussions, make medication suggestions, and most of all, practice my Spanish. When not at placement, I spent time with my fellow housemates, who were health care students from all over the world, such as the Netherlands, Australia, England and New Zealand. We went on afternoon adventures exploring the beautiful, historic city of Arequipa, caught a game of tennis, or relaxed on the terrace with a good book. Our evenings consisted of a series of card games and binge-watching the medical drama House. I will always look back and think about how lucky I was to meet these amazing people and spend an incredible few weeks together. 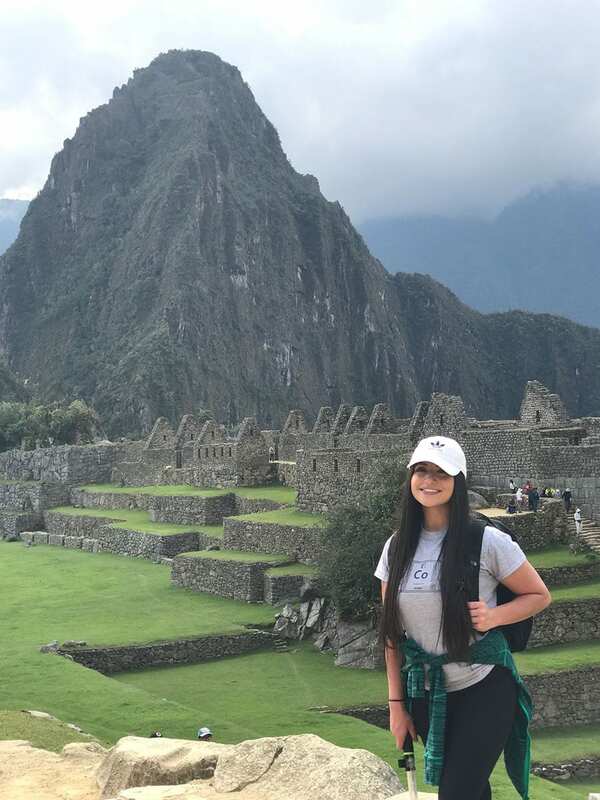 This opportunity not only allowed me to learn the culture of Peru, but those of my housemates’ native countries. Overall, I am truly grateful for this experience. I was able to spend a few weeks with health care students from all over the world, who like me, have a goal to provide care for those in need. 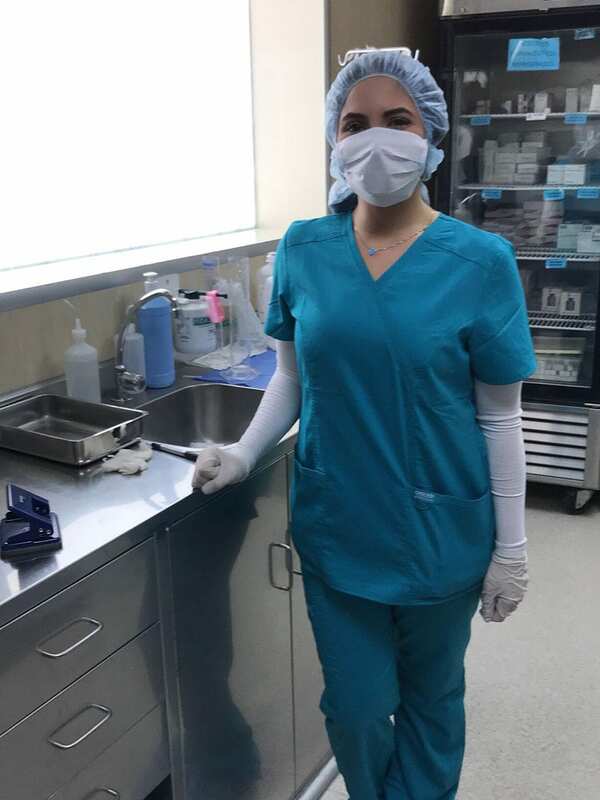 Being able to apply the knowledge I have learned at Roosevelt’s College of Pharmacy to provide care for the underprivileged patients in Arequipa was truly fulfilling. I hope to continue mission trips and urge others to do the same in order to have a greater impact on global health.